Be Seen In A Clean Machine! 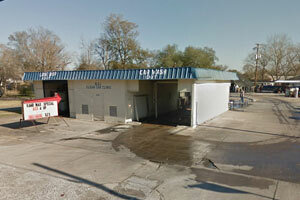 Our shop in Port Arthur will get any dirt, tar and muck of your vehicle so it is gleaming when you drive away! We know that handling money can be stressful at times, see if we can help you out with our special offers! Whatever your auto detailing or auto maintenance needs, look no further, get in touch with us today! RJ's Clean Car Clinic, offers a professional and reliable automotive detailing and maintenance services to Port Arthur and surrounding areas. We understand what it takes to maintain the beauty of your vehicle. Our management team and staff are dedicated to providing the highest quality and most complete range of vehicle care and appearance services possible for your vehicle.